As you know, we are constantly searching for inspirational examples of how material design can be incorporated in different places, e.g. apps, templates, etc. Not long ago, we came across a curious thing reflecting this trendy style, i.e. a creative card deck, on Dribbble. And today we’d like to share our finding with you. First of all, it’s worthwhile to mention that the card deck is inspired by an Infographic of the web design evolution from 2004 to 2015. The Infographic is represented as a timeline. There are 5 trends for each year, each trend is well explained and is illustrated by 5 examples of live websites. With all the trends at your fingertips, it’s really comfortable to trace the evolution of web design, as there’s no need to spend hours surfing the web for the information on such a broad subject. The infographic got positive feedback from web designers, developers and bloggers. 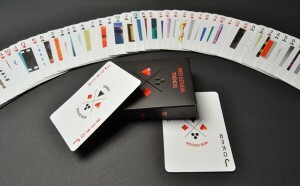 This inspired the authors of the infographic to create an exclusive deck of playing cards. The deck consists of 52 cards, each of which is devoted to one trend of web design. As for the reverse side of the cards, it is following the material design trend. The cards are both visually appealing and instructive, and you can use them for various purposes. 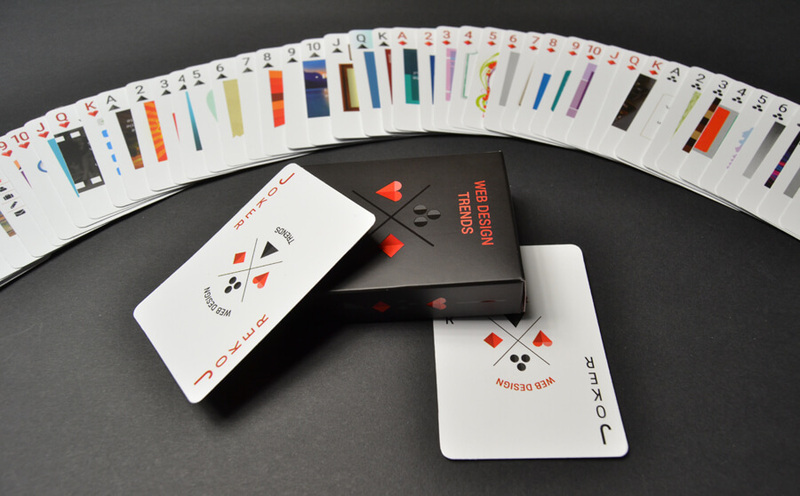 Whether you just want to play games or give an extraordinary gift to your friend who is a web designer, gambler or, say, magician, this deck will be a smart choice. Watch a short video to check the cards in action and possibly come up with more ideas of how to use them. The best news is the fact that today you have a chance to obtain this deck of cards FOR FREE. Just participate in an easy quiz held from 26 May to 2 June. Here are two simple steps to follow. 1. 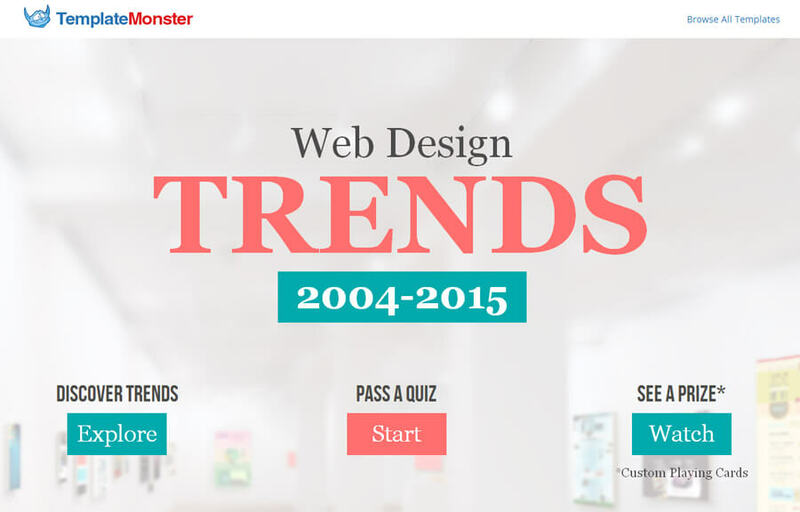 Click here and pass a quiz based on the Infographic (answer 7 simple questions about web design trends). Once you’ve passed the quiz, you will receive a “Web Design Guru” badge and join the other candidates for winning the cards. 2. Share the badge on your social accounts (Facebook, Twitter and Google+). This will give you a better chance of winning a desirable card deck. 7 winners will be chosen randomly within one week (from May 26th to June 2nd, 2015). In other words, there will be one winner a day. The winners will be notified by email. The quiz results will be also announced on the official social media accounts of TemplateMonster, so make sure you keep track of the news. Our team wishes you the best luck in passing the quiz and winning the card deck!